Ready to Simplify Your Social? Download this FREE Social Media Guide! Are you ready to take the OVERWHELM out of marketing yourself on social media? Become A Social Media BADASS in just 3 Simple Steps! Download Your FREE Simplified Social Media HERE! * Eliminate The Overwhelm of marketing yourself on social media. * Grow a Massive Following - on ANY platform! * Increase your ENGAGEMENT with every post! * Create Great Content, consistently. * Put your marketing on Auto-Pilot, and save you HOURS each and every week! Jin aka The Business Model has spent the last six years traveling the world as a full-time actor, model, BADASS using social media to chase and achieve her dreams! Jin created Create Your Next Level in 2017 with the mission of empowering other entrepreneurs and creators to build the badass business (& life!) you're dreaming of through simplified social media. 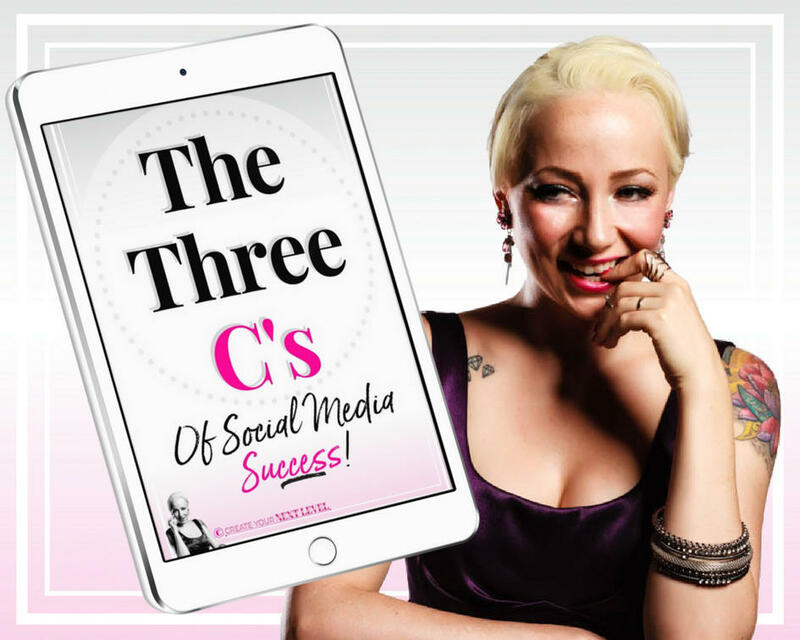 Take the overwhelm out of your online marketing, and download "The Three C's" social media guide now and start using these three simple keys to create your own social media success! Download Your FREE Social Media Guide NOW! Ready to Simplify Your Social Media? Send My Copy of "The Three C's" Now!